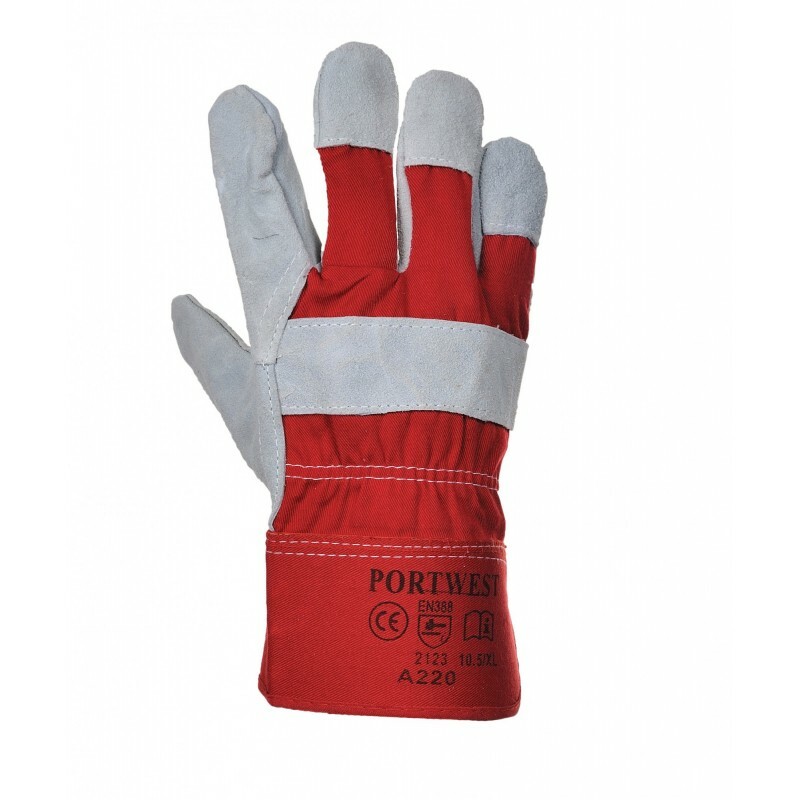 Premium quality split leather chrome rigger with red cotton drill back and knuckle protection. Rubberized safety cuff and integral vein patch. For use in construction mining landscaping etc. Dimensions are 16" x 11" x 17"